We offer one of the most powerful and auspicious Yantras, Crystal Shree Yantra. Crystal Shree Yantra, offered by us, is reckoned for providing maximum benefit to everyone. Crystal Shree Yantra is called to be the source of fulfilling worldly desires by inner cosmic power & mental strength. 24 carat Gold mounted Shri yantra. 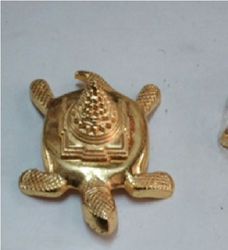 Making up with the individual standards and customs that have been established, we are engaged in the trade of a highly designer and pure series of Gold Plated Shree Yantra. With immense market knowledge, we have been able to provide optimum quality Parad Shree Yantra. Dhum means smoke and pan means to drink. Dhumpanam or Dhumpan simply means medicated or medicine or medical smoking. It is totally different from smoking. This tradition of smoking natural herbs (like rosemary) for health is as ancient as the oldest book on Ayurveda. • More than 20 different Yantras are available in Gold Foiled.• Size :- 9"x9"
Shreeyantra Small Set Of 2 Pieces This Yantra made by heavy brass Metal. ..
As the name suggest in Business if one is facing difficulty of non movement of stock, slowdown in business, lack of customers, the sales doesnot increase, old customer level is maintained. 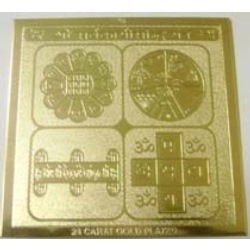 We are highly acclaimed in this industry for providing an optimum quality range of Parad Shriyantra. Goddess Laxmi speaks to material riches, as well as the abundance of grains, boldness, valour, offsprings, victory, rich life, unceasing exctasy. Shree Dhan Laxmi Yantra Profits:- Goddess Laxmi is symbol and all the passionate admirers paragons of piety have made this Yantra sacred by thorough petitions to God and offerings.